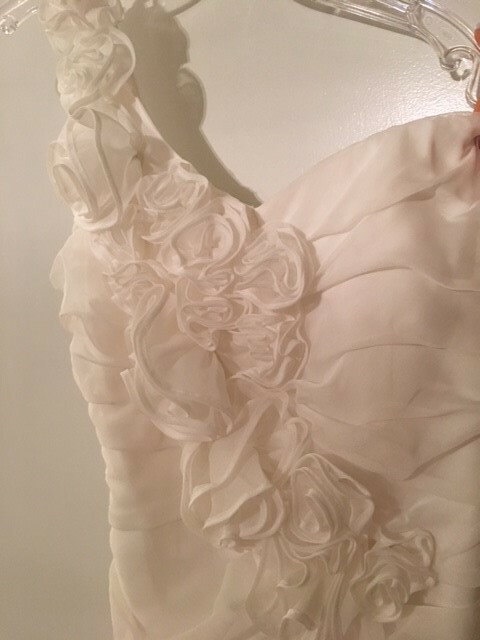 This is a Brand new, with tags, white wedding dress. Would be a super cute Reception Dress. It is a limited edition dress from The Limited. Original Price was $398. The dress size says 8. However, it fits like a size 4.